This country desperately needs better gas mileage. But it does not come free. The most efficient and equitable way to both increase mileage and reduce gasoline use (increased mileage alone can induce people, perversely, to drive more) is with a new gasoline tax, refunded by means of reduced payroll taxes to make it revenue neutral. But there is absolutely no congressional or administration support for that, because it is too honest and open an acknowledgment that there is no free lunch. The reason Congress loves corporate average fuel economy (CAFE) standards is precisely that they hide the cost -- in the sticker price of a new car. Whatever blame there is for the unfairness of life -- that energy efficiency is not free -- goes to the auto company rather than the mandating body, namely Congress. I recently stumbled upon this ranking of economics departments based on the jobs their PhD students end up with. I have not completely studied the methodology, but I won't object to the results reported in Table 1. Earlier this month, the Harvard Crimson profiled Brad DeLong and Andrei Shleifer. Striking down an antitrust rule nearly a century old, the Supreme Court ruled on Thursday that it was not automatically unlawful for manufacturers and distributors to agree on minimum retail prices....The Bush administration, along with economists of the Chicago school, had argued that the blanket prohibition against resale price maintenance agreements was archaic and counterproductive because, they said, some resale price agreements actually promote competition. Here is a previous post on the topic, including an excerpt from my favorite textbook. Donald Marron has been nominated to become a member of the Council of Economic Advisers. In 2004, while I was the CEA chair, I hired Donald to be the CEA's chief economist. It was one of the best decisions I made. It is great to see him back at the the White House. Congratulations, Donald! Update: The Real Time Economics blog reports that Dennis Carlton will also be nominated for the CEA--another fine choice. Warren E. Buffett was his usual folksy self Tuesday night at a fundraiser for Sen. Hillary Rodham Clinton (D-N.Y.) as he slammed a system that allows the very rich to pay taxes at a lower rate than the middle class. Even more striking to me is a fact that Mr Buffett did not emphasize: how low his taxable income is. His income of $46 million represents a mere 0.1 percent of his reported net worth of over $50 billion. That is not an impressive rate of return! They hold stocks that pay minimal dividends. They avoid realizing capital gains. They hold some of their portfolios in tax-free municipal bonds. They give appreciated assets to charity, getting a deduction for the current market value without ever having to realize and pay tax on the capital gain. Notice that raising tax rates, as Mr Buffett seems to want to do, would not much affect any of these tax avoidance strategies. Even if tax rates were raised substantially, the tax savvy Mr Buffet probably wouldn't be paying much in taxes as a proportion of his wealth or as a proportion of his true income. Tufts University economist Gilbert Metcalf shows how "a national tax on carbon emissions is paired with a reduction in the payroll tax so the reform is both revenue and distributionally neutral." Since 1980, as union membership has dropped sharply, the share of economic output going to corporate profits has more than doubled. Since 1980, as union membership has dropped sharply, the natural rate of unemployment has dropped sharply as well. I have no doubt that making it easier for workers to form cartels would raise wages--at least for those workers in the cartels. But demand curves slope downward. When unions push wages above the equilibrium of supply and demand, the side effects are not entirely benign. How does someone like Warren Buffett contribute to the economy? It seems investing in old line industrial businesses is more of a rent-seeking activity. I take it that people on Wall Street are in some sense parasitical ... yes? Do you still think it makes sense for me to go to work on Wall Street and be, say, an investment manager at a hedge fund? Can one improve an economy's productivity gains by working on Wall street? I believe it is wrong to view investors, including long-term investors like Buffett and short-term investors like hedge fund managers, as parasitical rent-seekers. Yes, they are motivated by self-interest, but by buying undervalued securities and selling overvalued ones, their actions bring the prices of capital assets closer to fundamental value. Those asset prices govern the allocation of investment resources, which in turn is paramount for the success of the economy. So, while making themselves rich, investors make the economy more productive for everyone--as if led by an invisible hand. Amity Shlaes says we should not rever FDR's New Deal. John Updike disagrees. My father had been reared a Republican, but he switched parties to vote for Roosevelt and never switched back. His memory of being abandoned by society and big business never left him and, for all his paternal kindness and humorousness, communicated itself to me, along with his preference for the political party that offered “the forgotten man” the better break. Roosevelt made such people feel less alone. The impression of recovery--the impression that a President was bending the old rules and, drawing upon his own courage and flamboyance in adversity and illness, stirring things up on behalf of the down-and-out--mattered more than any miscalculations in the moot mathematics of economics. Business, of which Shlaes is so solicitous, is basically merciless, geared to maximize profit. Government is ultimately a human transaction, and Roosevelt put a cheerful, defiant, caring face on government at a time when faith in democracy was ebbing throughout the Western world. For this inspirational feat he is the twentieth century’s greatest President, to rank with Lincoln and Washington as symbolic figures for a nation to live by. My view: When evaluating political leaders, it is better to trust "the moot mathematics of economics" than "the impression of recovery." If we are all so concerned about consumer sentiment, and FDR's famous statement that the only thing we have to fear is "fear itself," then we should take Robert Higgs's argument of the effect of uncertainty on sentiment seriously. Higgs said that FDR caused fear itself with his relentless experimentation. I came to appreciate Higgs a lot writing this book. Keynes too was concerned abt the arbitrary aspect of FDR's policy, telling FDR that he should either nationalize the utilities or leave them alone, but not chase them around the lot every week or so. What else? Going over the period came to like three people, Irving FIsher, Ray Moley and Benjamin Anderson, a lot. Also Rex Tugwell. His profile is the profile of the economist in government and in policy agony. The policy agony of economists is a big part of the 'thirties story. That period is not much different from today in that regard. Politicians surrounded themselves with name economists and then didn't listen to the economists. Or should I say listened only intermittently. A local currency has sprouted up in western Massachusetts. It is called BerkShares. The details of the system suggest that it is motivated largely by price discrimination: People who go through the trouble of converting U.S. dollars to BerkShares get a 10 percent discount on things they buy. In this sense, the system is like discount coupons coupled with a new medium of exchange. (a) the Fed held the supply of U.S. dollars constant? (b) the Fed were following an interest rate rule, such as a Taylor rule? Larry Summers writes about rising income inequality. Robert Reich weighs in with some ideas that are either economic nonsense or marketing brilliance. Decide for yourself. My Harvard colleague Robert Barro says Bill Gates did more for the world as businessman than he is likely to do as a philanthropist. Similarly, no adviser to a political candidate can be expected to share all of the candidate's judgments about the dozens of policies on which the candidate must opine. Hence, one gets articles like this on the fact that Romney and I have different views regarding the immigration bill. No sensible voter would think less of a candidate who has advisers who sometimes disagree with him. But a sensible voter should think less of a candidate who has no advisers who ever disagree with him. The Economist argues for carbon taxes over cap-and-trade. Americans tend to score better than Europeans on most happiness surveys. For example, according to the 2002 International Social Survey Programme across 35 countries, 56% of Americans are "completely happy" or "very happy" with their lives, versus 44% of Danes (often cited in surveys as the happiest Europeans), 35% of the French and 31% of Germans. So who should get paid more when test grades improve? Some would say teachers. My Harvard colleague Roland Fryer says students. Maybe both. Update: Here is some evidence on the benefits of incentive pay for teachers from a recent Harvard PhD. Steve Levitt joins the Pigou Club. A reader alerts me to this special offer from Harvard's Quarterly Journal of Economics. One feature of my favorite economics textbook is "In the News" boxes. These boxes reprint recent articles from newspapers and magazines that illustrate economic principles at work in current events. Some of them are opinion columns written by prominent economists. There are typically one or two of these boxes in each chapter. Here is your chance to help me out as I embark on producing the fifth edition. In the comments section of this blog, please post links to recent articles that you think would be good candidates for these boxes. If your suggested article is chosen for the next edition, you won't win a prize, but you will be doing me a favor, and you will be helping several hundred thousand students learn the principles of economics. Congratulations! You are the proud owner of a new gas station in Boca Raton, Florida. You sell gasoline at this week’s average price in Florida: about $3.00 for a gallon of regular grade. Fun gas station owner fact: you make a pre-tax profit of only about 3 cents per gallon. (For comparison, taxes are in the range of 50 cents per gallon in Florida.) You make most of your profit from foot traffic in your convenience store, selling things like bottled water and soda, chips and candy, lottery tickets, and cigarettes. This means your profit motive drives you to focus first on keeping foot traffic coming into your convenience store. Now a hurricane hits. Let’s say it takes out the power that supplies some fuel terminals, drastically reducing the gasoline flows that supply gas stations in South Florida. Economists would call this a negative supply shock. The supply of gasoline in Florida has suddenly declined, and so the price you will have to pay to buy gasoline for your station is jumping by, say, $1 per gallon. Also, you now have serious concerns about getting your tanks refilled. In normal times, a supply truck might visit you once a week. Now it looks like it will be once every 10-12 days, and it’s unpredictable. Should you raise your prices? Your cost of goods is about to jump by a third. Demand has spiked. Some people are driving to leave town and need to fill up. Others are afraid that gasoline will run out, and so they fill up just in case. If you keep prices where they are, the increased demand will almost certainly cause you to run out of fuel before the truck shows up in 10-12 days. You’ll have to shut down, and you’ll have zero foot traffic in your convenience store (and therefore zero profits). Or you can raise your price. If you raise your price, then some drivers won’t be able to afford it, and only those who value gas at, say, $4/gallon will buy. The reduced demand from the higher price will counterbalance the increased demand from the hurricane aftermath. You’ll sell fewer gallons each day, but you’re less likely to run out of gas 10 or 11 days from now. Your store will therefore remain open until the truck arrives to refill your tanks, and you’ll make profits from foot traffic in your store (even though drivers will be buying fewer chips and lottery tickets). You’re confident you could make a strong case that neither of those provisions hold, but what do you know? You’re a gas station owner, not an antitrust attorney. Let’s also assume that some local elected officials are on TV saying they are “on the lookout for price gougers,” and they are insisting that the Florida AG “use his authority to the fullest extent possible.” How are you to determine whether any of several officials, each of whom faces various bureaucratic, political, and public pressures, will decide that a 25 cent, 50 cent, or $1 price increase is “unconscionably excessive” or “unreasonable”? If you make the wrong decision, you could pay a fine of up to $2 million, or go to prison for up to 10 years. What do you do? Do you buy gasoline for $1 more per gallon, and raise your prices by the same amount, risking 10 years in prison? Of course not. You shut down until your supply price drops enough that you’re willing to take the risk. The “Federal Price Gouging Prevention Act” discourages you from selling gas when it’s needed most. Natural disasters do not destroy the laws of economics. Markets allocate scarce goods to those who value them the highest. In a disaster, someone who must get out of town might be willing to pay $4 or $5 per gallon. A soccer mom with 3/4 of a tank might decide not to buy gas at that price. Economists call that an efficient solution. High gas prices are unpleasant. But long gas lines can be worse. If you’re not old enough to remember the gas lines of the 1970s, ask someone to tell you about "odd and even days." We saw gasoline markets working after the 2005 hurricanes, which temporarily knocked out close to 30% of US oil production and gasoline refining capacity. Gasoline prices spiked upwards, but after power was restored, gasoline quickly became available. Unsurprisingly, the incentives created by high prices sent a signal to the market, attracting supplies to the US, and particularly to the East Coast and Gulf Coast regions. Tankers on their way to other parts of the world (like Europe) changed course to the US, and additional supplies came from the Far East. Supply in the stricken area increased, and prices fell. Markets work. Obviously, we don’t condone illegal pricing practices. The FTC already has the authority to prosecute unfair anti-competitive behavior in a carefully defined and economically meaningful way. So if suddenly you’re one of only two gas stations in town, and if you collude with the other guy to keep your prices artificially high, then you’re breaking an existing law. “unreasonably.” Price controls have damaging side effects. The bill is based on a largely incorrect presumption that, when a disaster hits, price increases are the result of evil business owners taking advantage of the situation. The real reason in almost all situations is more mundane: supply decreases and/or demand increases. In a competitive market, when either of these things occurs, prices go up to balance supply and demand. The economic inanity is not limited to the House of Representatives. My White House friend notes that "similar language is included in the bill that’s now on the Senate floor. So what we said about H.R. 1252 also applies to the 'anti-price gouging' title of the Senate energy bill." At a minimum, the tax cuts of 2001 and 2003 should be repealed or allowed to expire for married couples making above $200,000 a year. To be sure, there are limits to how far policy should go in using progressive taxation to offset inequality. The paper does not, however, say what those limits are. How do we know that the current top rate of 35 percent is not already past the limit? Tax policy should be set to maximize a social welfare function. The social welfare function has strong aversion to inequality. The tax-setting social planner must take into account that taxes are distortionary, but elasticities are small enough that the distortions are not much of a problem until tax rates reach much higher levels than we have today. Note that points 1 and 2 are about political philosophy rather than economics. Economists can have opinions about these matters, but our opinions are not much better or worse by virtue of our training than those of anyone else. One can even reject the whole idea of a social welfare function. Utilitarian philosophers argue for interpersonal comparisons of utility, but nothing inherent in economics permits such comparisons. If we reject the idea of a social welfare function, then we are left with Pareto efficiency as the only valid criterion for judging tax policy, and economics has little to say about optimal progressivity--a point emphasized in a recent paper by MIT wunderkind Ivan Werning. Point 3 is more economic, but it raises an issue about which economists hotly debate. See here and here. And even if that debate is resolved, point 3 on its own tells you nothing about optimal policy. You need the social welfare function to draw normative conclusions. As a political document aimed at advising Democratic candidates and elected officials, the Hamilton paper makes sense. But as an intellectual document, it would been more compelling if the authors had spelled out the model of optimal tax policy they had in mind. It would have been nice to see explicitly their assumed social welfare function and elasticity estimates and then some calculations of optimal progressivity based on these. As it stands, the paper leaps to conclusions without stating premises, so it is hard for the reader to reach a reasoned judgment about whether to agree or disagree. By the way, I bet if the Hamilton authors took their framework seriously, they would conclude that taxing height is an inevitable implication of their normative axioms. Update: While my former student Jason Furman argues for greater progressivity, my former student Alan Viard takes the opposing view. The philosopher Richard Rorty has died. Here is the Times obituary. I take note of this fact for personal reasons: I took an introductory philosophy course from Rorty when I was a freshman at Princeton. The same semester, the philosophy department also offered another freshman-level course, which got better student ratings and attracted a larger enrollment. But after attending both courses for the first couple of weeks, I had no doubt that Rorty's was the one for me. Rorty's lectures were not flashy, but they were serious and deep. The popular lecturer seemed to want to entertain the students; Rorty was inviting them to think hard about the issues that he struggled with. After taking the course, I briefly considered majoring in philosophy and then pursuing a PhD in the area, but a talk with a philosophy grad student dissuaded me. (Academic jobs in philosophy were pretty darn scarce.) Nonetheless, Rorty's course had a big impact on me. Two of the books he assigned--The Myth of Sisyphus by Albert Camus and On Liberty by John Stuart Mill--profoundly influenced my worldview. Deep down, I am still part existentialist and part utilitarian libertarian. Throw in a bit of Sunday school, and you pretty much have me pinned. I can't remember what I said in the paper, but I remember becoming a vegetarian for several weeks thereafter. My carnivorous ways eventually resumed not because I figured out a good response, but because I ignobly put the question out of mind. I have not seen Rorty since leaving Princeton. In fact, the course was large enough and I was shy enough that I probably never spoke to him one on one. This is just another example of how a professor can profoundly affect a student he has never even met. There is no basis for deciding what counts as knowledge and truth other than what one’s peers will let one get away with in the open exchange of claims, counterclaims and reasons. I am sure Rorty wasn't thinking about economics when he wrote this, but it applies perfectly. Even now, more than 30 years after I sat in his lectures, Professor Rorty still strikes me as having an uncanny ability for seeing to the heart of an issue. My dissertation adviser is now a celebrity. I am a second-year economics student at the University of California, Davis. I was wondering if you could share your opinion on the career options provided by a Ph.D in economics compared to those of an M.B.A., particularly with regards to earning potential. Historically I have preferred business school for its good "bang for the buck," but lately I have thought that immediate graduate school might be my best option, given the relative strengths and weaknesses of my track record (i.e.,stronger academics than work experience). Could you tell me which option you would prefer in my position? You don't have to make any sort of absolute, unequivocal statement, but I appreciate any advice you can offer. Thank you very much for your time. I believe that from a purely financial standpoint, an MBA is a better investment than a PhD. An MBA is only a two-year program, whereas a PhD is typically four to six years. The extra time for a PhD probably not yield the extra income needed to make it a good investment of your time. A typical Harvard MBA gets a starting salary a bit over $100K; the typical econ PhD does not start much higher than that. But the issue is not entirely pecuniary. The question you should be asking yourself is what kind of job you want to have when you conclude your education. A PhD makes sense if you want to consider the possibility of being an academic. You may pursue a PhD and then decide along the way to pursue a different path than being a professor. That is okay: Many PhD students leave for the private sector when they are done with their degrees, and they get very good jobs there. But if you are sure from the beginning that you want some kind of private-sector job, then the MBA is probably the better route. [Natural Resources Minister Claude] Bechard said he expects that the companies will absorb the higher costs, though he "can't guarantee'' that producers and refiners won't pass them on to consumers. "I don't think that we will put any pressure on the gas price,'' he said. The NY Times magazine profiles Larry Summers. The article is good, but they could have picked a better photo. Now we know what all those Harvard grads heading to Wall Street will be doing in a few years: Investing in their friends' companies. A new study circulating through hedge funds and university campuses points to the powerful role that old-school ties play in the world of investing. A reader alerts me to a new hagiography of Jeff Sachs in Vanity Fair. The median first-year base salary for male members of the Class of 2007 is $60,000, compared to $50,000 for females....Among men who are entering the workforce next year, 58 percent are taking jobs in the finance and consulting industries. Among Harvard women in the workforce, only 43 percent are going into finance and consulting. The Administration releases it updated economic forecast. David Leonhardt on health care costs. In the first edition of my favorite economics textbook, there was a section on "comparable worth." Eventually, my editor suggested I take it out, on the grounds that economic logic had finally killed off this bad idea. But like Lord Voldemort in the first Harrry Potter book, the idea was weakened, but not dead. It's baaaack!! Yes, "comparable worth," which faded out around the same time the Bay City Rollers were disbanding, is making a comeback, under the euphemism "pay equity". To wit: the Fair Pay Act of 2007. Introduced by Tom Harkin (D-Iowa) in April (Illionois Sen. and Democratic presidential hopeful Barack Obama is one of 15 co-sponsors) the Act notes the existence of wage differentials between men and women. This is true; according to the Bureau of Labor Statistics, in 2005 female full-time wage and salary workers made 81% of what men did. What is more dubious, though, is the assumption that is the heart of the Fair Pay Act: that discrimination is the reason for all or most of the difference. And the act's remedies are absurdly misguided, injecting the federal government into the most routine pay decisions. Should engineers get paid more than librarians? This question is at the heart of the debate over comparable worth, a doctrine according to which jobs deemed comparable should be paid the same wage. Advocates of comparable worth point out that traditionally male occupations have higher wages than traditionally female occupations. They believe that these occupational differences are discriminatory against women. Even if women were paid the same as men for the same type of work, the gender gap in wages would persist until comparable occupations were paid similar wages. Comparable-worth advocates want jobs rated according to a set of impartial criteria--education, experience, responsibility, working conditions, and so on. Under this system, comparably rated jobs would pay the same wage. A librarian with a master's degree, ten years of experience, and a forty-hour workweek, for instance, would be paid the same as an engineer with a master's degree, ten years of experience, and a forty-hour workweek. Most economists are critical of comparable-worth proposals. 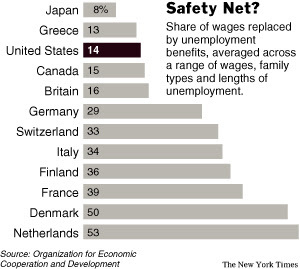 They argue that a competitive market is the best mechanism for setting wages. It would be nearly impossible, they claim, to measure all of the factors that are relevant for determining the right wage for any job. Moreover, the fact that traditionally female occupations pay less than traditionally male occupations is not by itself evidence of discrimination. Women have in the past spent more time than men raising children. Women are, therefore, more likely to choose occupations that offer flexible hours and other working conditions compatible with childrearing. To some extent, the gender gap in wages is a compensating differential. Economists also point out that comparable-worth proposals would have an important unintended side effect. Comparable-worth advocates want the wages in traditionally female occupations to be raised by legal decree. Such a policy would have many of the effects of a minimum wage, which we first discussed in Chapter 6. In particular, when the wage is forced to rise above the equilibrium level, the quantity of labor supplied to these occupations would rise, and the quantity demanded would fall. The result would be higher unemployment in traditionally female occupations. In this way, a comparable-worth law could adversely affect some members of groups that the policy is aimed at helping. The debate over comparable worth continues. The courts have usually rejected the claim that occupational wage differences are discriminatory. Nonetheless, the comparable-worth movement has had some political success. For example, in 1985, a government employees union sued the state of Washington for discrimination using a comparable-worth argument. The case came before Circuit Court Judge Anthony Kennedy, who later became a justice on the U.S. Supreme Court. Kennedy decided against comparable worth, writing that "neither law nor logic deems the free market system a suspect enterprise." Despite their defeat in the courts, however, the advocates of comparable worth ultimately got what they wanted. The state of Washington eventually succumbed to political pressure and adopted a comparable-worth system for paying state employees. Some conservatives favor the Senate immigration bill. Click on the link to find out who. For some reliable commentary on European economies, check out this website, which is still in its beta version. I am told that on Thursday, the permanent link will be operative. Lawrence Lindsey, George W. Bush's issues adviser in the 1999-2000 run-up to his presidential candidacy, is poised to play a similar role in Fred Thompson's imminent campaign. A former Harvard economics professor* and Federal Reserve governor, Lindsey was National Economics Council director in the Bush administration's first two years. Novak fails to mention the highpoint of Larry's early career: He was once head sectionleader for ec 10. In fact, Larry was head sectionleader when I first arrived at Harvard as an assistant professor in 1985. One of my first teaching assignments was a section of ec 10. Larry did a great job running things. Marty Feldstein was then course head, as I am today, but the head sectionleader does most of the work. (I trust Harvard deans aren't reading this.) I remember sitting in Larry's office, watching a video of myself teaching--always a painful experience. Larry offered excellent teaching tips. I also worked with Larry a couple of years before that, in 1982-83, when we were both on the staff of the Council of Economic Advisers during the Reagan administration. Feldstein was chairman. Also on the CEA staff were Larry Summers and Paul Krugman. I knew that Lindsey and I were to the right of Summers and Krugman, but at the time I would have misjudged the distance. * Some of my Harvard colleagues get annoyed when they see descriptions such as Novak's. Larry was never a full professor at Harvard, which is a tenured position; he was an assistant professor, and perhaps an associate professor, which are untenured positions. As one of my senior colleagues put it to me, "If someone was a vice president of a bank, would it be accurate to report that he was president of the bank?" My own view is that the hierarchical distinctions of academic rank do not loom large in the minds of people outside the academy, so Novak's small degree of sloppiness here is fully excusable. ALBANY, N.Y. -- Open your wallets, Yankees fans. New York scalpers can now legally sell tickets to the highest bidder without fear of getting pinched. Gov. Eliot Spitzer signed a measure officially ending the limits on how much brokers add to the face price. Now that we have set the market free for Yankee tickets, how about other, less crucial commodities, like housing and kidneys? We document that an increasing fraction of jobs in the U.S. labor market explicitly pay workers for their performance using bonuses, commissions, or piece-rates....Moreover, the growing incidence of performance-pay can explain 24 percent of the growth in the variance of male wages between the late 1970s and the early 1990s, and accounts for nearly all of the top-end growth in wage dispersion (above the 80th percentile). Here is a political test, which pegged me as part of the libertarian right. Click on the link to find out where you stand. We are told, for example, that sometimes goods are priced on the basis of what it costs to produce them (brown eggs) and sometimes on the basis of what people are willing to pay (sleeker, black colored Apple computers), but nowhere does Frank help us resolve this tension between demand and supply-side determination. A reminder that even the basic ec 10 lessons are not obvious. if aggressive actions are to be taken to control GHG emissions, carbon-centered tax reform--not GHG emission trading--is the superior policy option. we need to go out and get ourselves the smartest president we can find. We need a brainiac president, a regular Mister or Miss Smarty-Pants. We need to elect the kid you hated in high school, the teacher's pet with perfect grades. Robinson intimates that this is someone like Al Gore. In his sophomore year at Harvard, Gore's grades were lower than any semester recorded on Bush's transcript from Yale. That was the year Gore's classmates remember him spending a notable amount of time in the Dunster House basement lounge shooting pool, watching television, eating hamburgers and occasionally smoking marijuana. His grades temporarily reflected his mildly experimental mood, and alarmed his parents. He received one D, one C-minus, two C's, two C-pluses and one B-minus, an effort that placed him in the lower fifth of the class for the second year in a row. So who is the brainiac Robinson is looking for? Well, I know of one candidate who graduated as his college valedictorian. I believe that Professor Mankiw attended HLS for a year. If he were to release his grades for that year we can see how Barack Obama compares to the Robert M. Beren Professor of Economics at Harvard. I suspect that Senator Obama would compare favorably.